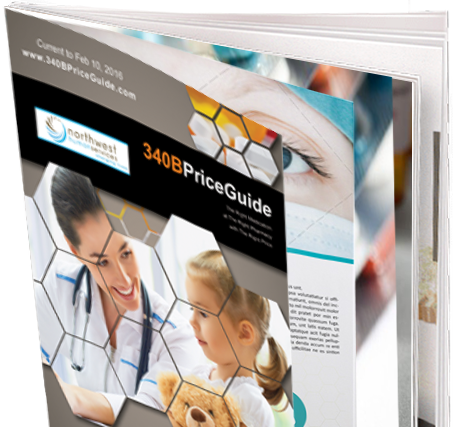 340B Price Guide is a customized, entity-specific publication available to Federally Qualified Health Centers, Disproportionate Share Hospitals, Indian Health Services and other health organizations that are eligible for the 340B drug discount program. More than just a cost list, the 340B Price Guide helps entities interpret and understand the ever-changing drug prices in the 340B "market" and how those prices not only impact the entity financially but patient care as well. 340B Price Guide, LLC. offers independent 340B consulting for covered entities seeking expertise and guidance for their 340B program. Every covered entity’s executive staff and decision maker should keep proper management of their 340B program top of mind. Subtle yet critical decision points pave the 340B road for every type of organization participating in 340B. Ensuring and implementing 340B best practices can have lasting benefits for the covered entity and help in the health outcomes for those most in need. 340B Price Guide, LLC, and partners have assisted many covered entities from small stand-alone Federally Qualified Health Centers to Hospital Health Systems. We welcome any inquiry you may have. "340B Price Guide is excellent. I use it every day in my practice. I think it saves a lot of time trying to figure out if a patient can afford therapy or not before they go to the pharmacy. The 340B program tremendously helps patients get affordable meds. This price guide helps us docs navigate it with ease! We love it! Thank you!" “340B Price Guide is excellent and has been very helpful for us in communicating to our staff and our physicians the 340B program. I want to thank you for all your help and keeping in touch” . "I used 340 Price Guide today! I was able to do an Rx for Ursodiol! 340B Price Guide was so incredibly helpful! I tried using GoodRx for her, but Walmart didn't honor the GoodRx price, so our dilemma was solved with 340B! So GRACIAS! Also, I used the 340B Patient ID Card print-out! All the best." "I have a 69 y/o pt that was put on Januvia with Medicare. When this pt. went to Walgreens to p/u the Januvia he was then told that the Rx will cost him over $160. He of course, was not able to afford this so called us to see if we could change his med. I looked at the 340B pricing and told the patient of the program because Walgreens was not processing his Rx correctly. I called Walgreens and asked them to rerun the Januvia through 340B for the 90 Day RX and patient price is now $14.40! I called the patient and he said “if I was there I would hug you!”. It’s so nice to be able to help a patient when they feel down about having to choose between paying for medication or paying for living expenses especially when they’re on a fixed income. What a great outcome! Just had to share Have a great weekend!"